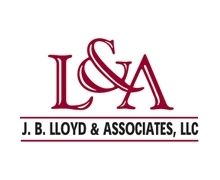 Anselmo Lindberg & Associates, has been representing creditors since 1986 and concentrates their practice in default services and real estate/REO transactions. Processes and compliance are managed by fully-staffed Human Resources, Information Technology, Client Dvelopment and Financial/Auditing professionals. Our partners are involved in well-respected community and legal organizations, and many staff have a tenure of more than 5 years, several over 10 years. Some have received National Client Liaison awards, and the Firm has been recognized by clients with performance and liquidation awards. 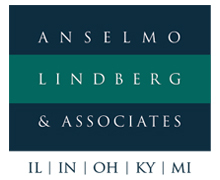 Anselmo Lindberg & Associates provides legal representation in Illinois, Indiana, Ohio, Kentucky and Michigan. Providing Superior Legal Services to the Mortgage Servicing Industry At eXL Legal we pride ourselves on providing clients with exceptional legal representation though quality service and effective problem resolution. Our firm has grown in excess of 100 employees and attorneys and we continue to add quality attorneys and managers. 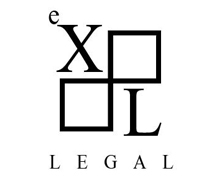 eXL Legal prides itself on being a partner to its clients. 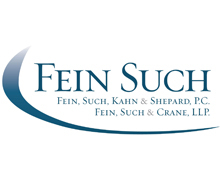 Our clients have direct access to firm decision makers as well as its experienced attorneys. A large number of our attorneys have legal expertise in various aspects of default law and litigation, and when combined with our knowledgeable support team, allow us to provide effective and efficient representation to all of our clients. We are a full service firm excelling in default service management. 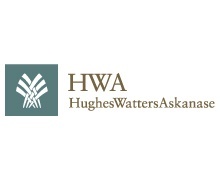 HWA has extensive experience in Banking Representation, Business Planning and Strategy, Business Bankruptcy, Bankruptcy Trustee Representation, Commercial Finance, Commercial Litigation, Consumer Financial Services, Credit Union Representation, Default Servicing – Consumer and Commercial, and Real Estate and Finance. 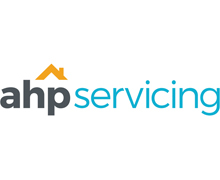 We serve clients in a variety of industry sectors, including automotive, mortgage servicing, retailers, restaurants and hospitality providers, and small and mid-sized businesses. 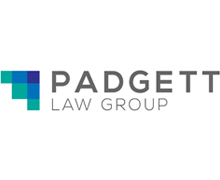 ​Padgett Law Group (PLG) is an elite, full service creditors'​ rights law firm with GSE compliant practices in Arkansas, Florida, Georgia and Tennessee. The firm's practice offers exclusive representation to institutional clients such as lenders, mortgage servicers, credit unions, banks, hedge funds, investors and other financial services industry stakeholders. Leveraging technology in our partnerships with forward-thinking clients gives Padgett Law Group the ability to focus on the aggressive management and processing of delinquent or under performing loans, providing our clients with an edge when curing or resolving these complex legal matters. Rosenberg & Associates, LLC provides superior legal services to its clients in all areas of real estate law and creditors' rights. The Firm is dedicated to providing quality and efficient legal representation, while maintaining a high level of personal contact with each of its clients. 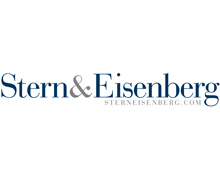 Wholly owned and operated by Diane S. Rosenberg, Esq. we are a certified Women’s Business Enterprise and members of USFN, ALFN, LL100, NACTT, REOMAC and WBENC. Our high level of personal contact with each client enables us to provide excellent customer service. 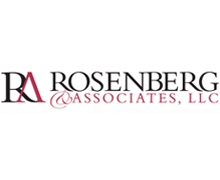 Rosenberg & Associates, LLC represents national mortgage companies in foreclosures, bankruptcies, REO settlements and evictions in Maryland, Virginia and the District of Columbia. Our clients can be confident in our ability to efficiently and effectively administer any real estate law case, from beginning to end. Rubin Lublin, LLC, is a law firm dedicated to exceeding the expectations of its mortgage banking, loan servicing and title insurer clientele. We provide comprehensive legal representation in Georgia, Tennessee, Mississippi and Alabama in the following areas: foreclosure and foreclosure prevention, bankruptcy, eviction, REO and general closings, as well all facets of real estate and title litigation. 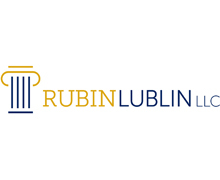 With a combined fifty years of industry experience and a prestigious AV rating from Martindale Hubbell, each of the principals of Rubin Lublin, LLC are nationally prominent and considered go-to attorneys in their respective practice areas. We remain at the forefront of our industry through the use of cutting edge technology and advanced strategies to help our clients mitigate their losses. Rubin Lublin, LLC has all the expertise and resources required to meet the unprecedented challenges and opportunities that currently present themselves in our industry. We are strongly committed to our core values of superior customer service to our clients while limiting their exposure to liability and to respecting the rights of consumers and otherwise treating borowers with dignity. 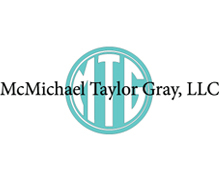 McMichael Taylor Gray, LLC (“MTG”) is a full-service default and creditor right law firm delivering quality, cost-effective legal services for financial institutions throughout most of the southeast. The founding partners of MTG established a forward-thinking, client focused law firm, centered on an unwavering commitment to the following core values: excellence; integrity; honesty; and respect. 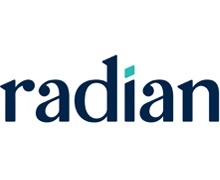 Radian is helping to ensure the American dream of homeownership in even bigger and better ways with industry-leading mortgage insurance and a comprehensive suite of mortgage, risk, real estate, and title services. We are powered by technology, informed by data and driven to deliver new levels of service and innovation to our customers across the residential mortgage and real estate spectrum. 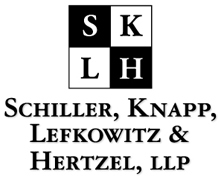 SKLH is a Regional Creditor’s Rights firm providing representation in both the State and Federal Courts throughout New York, New Jersey and Vermont. We all aspects of Creditor’s Rights including cradle to grave default servicing; Bankruptcy, Foreclosure, Loss Mitigation, Short Sale, Deed in lieu, REO and Evictions as well as Litigation. The firm is headquartered in Albany, NY with offices in Buffalo, NY, Jersey City, NJ and Waitsfield, VT, which allows us accessibility and full coverage across the region. Our primary mission is to protect our client’s interests while providing solutions to their complex problems. We pride ourselves on counseling and guiding our clients through the legal process in both a timely and cost effective manner. Our goal is to establish long-term relationships, founded on an understanding of our clients needs and sustained by providing unsurpassed professional services. 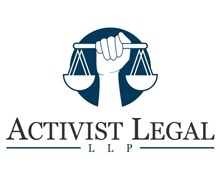 Activist Legal provides legal services to debtors and creditors in order to facilitate the resolution of debts. Drawing on the team’s experience and passion, Activist strives to achieve innovative and pragmatic solutions for their clients. 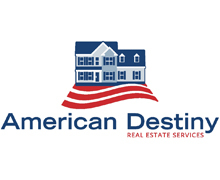 American Destiny Real Estate Services, LLC (ADR) is a 3rd party disposition strategy that has assisted clients with their asset liquidations over the past decade in all 50 states and Puerto Rico. ADR's oversight and expertise with REO liquidations has proven to remove any challenges while reducing the DOM timelines for our clients. We can handle any location because we are in all 50 states and Puerto Rico. We can handle any situation, because I am sure we have seen it already over the last 12 years. We currently ovesee thousands of REOs and list and sell hundreds of assets monthly. 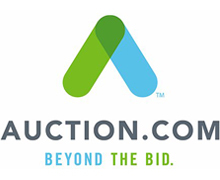 If you are Selling or Buying property anywhere in the 50 states, our Asset Management Service offers a one stop shop solution that works hand and hand with your team. We take your challenges and make Real Estate Real Simple. Brock & Scott, PLLC has been a mainstay and the default services leader in the Southeast for over 20 years. We are a trusted leader in the financial services and real estate industry with a commitment to helping our clients succeed. Our attorneys and staff drive solutions that create value and results to achieve client goals and help them accomplish more. Through multiple offices across our geographic footprint, we work as one team, at our best each day, putting our client interests first. PRACTICE AREAS: Foreclosure, Bankruptcy, Collections, REO, Complex Litigation, Evictions, Loss Mitigation and Commercial. 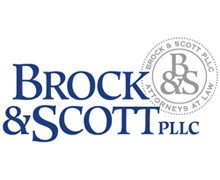 Brock & Scott is full service law firm with extensive experience serving the financial sector. With physical offices across a sixsteen state footprint, we deliver legal service with the utmost integrity and operational efficiency through our highly skilled team of attorneys and support staff. 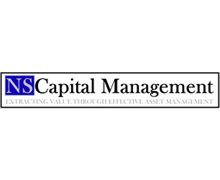 Garnet Capital Advisors is a financial-services company specializing in managing loan portfolio sales and providing valuation services to banks and other credit grantors. Garnet was founded by Lou DiPalma, Sean McVity, and Robin Ishmael – industry leaders who began their loan sale careers together in the early 1990s. The firm has grown over the years by applying their expertise and client-centered focus to help clients achieve their goals. Garnet Capital Advisors provides career-length expertise and intensive, cradle-to-grave advisory services across the full range of asset types and performance categories. 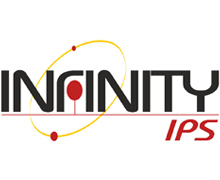 Infinity IPS, founded in 2003, is a mortgage industry leader providing end-to-end services and solutions for more than a decade. 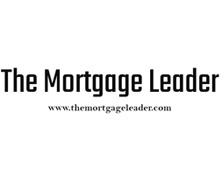 We specialize in Mortgage Due Diligence and Pre-Fund and Post-Close QC with additional mortgage services including risk management, specialized staffing and advisory services to Investment Banks, Originators, Government Agencies, Hedge Funds, Private Equity Funds, Bond Insurers, Regional and Community Banks, Credit Unions, public and private REITs and Mortgage Insurers. 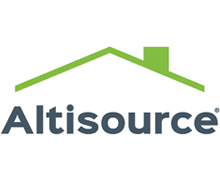 We specialize in securitization audits, performing, re-performing, and non-performing mortgage asset due diligence and secondary market compliance due diligence services. Infinity is one of the oldest and most trusted brands in the Mortgage Due Diligence Market. Infinity is a SOC2 and SOC3 compliant firm and our reviews meet the standards of all major credit rating agencies. 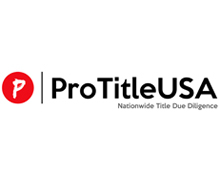 We serve as a one stop solution providing nationwide O&E title searches, Current Owner Title reports, Non Escrow Tax Tracking, Tax certificate investigation/ reporting and BPOs. In addition, we excel in MERS Audit and Appraisal Review Services. 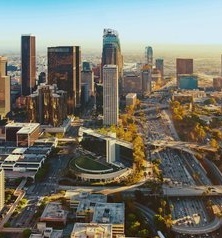 With offices in California, Florida, Illinois, Maryland, Virginia and an international presence with more than 1,000 dedicated employees, we deliver excellence to our clients and create a competitive advantage that is differentiated by our expertise and client service. Our state-of-the-art technology and proven expertise enable our clients to manage risk, maintain compliance, make sound critical business decisions and facilitate continued success. 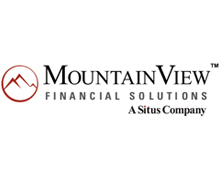 MountainView Financial Solutions (www.mviewfs.com), a leading advisor to the financial services industry, delivers rigorous and objective analysis, data-driven insights and client-centric services that help business leaders Climb Higher™ by better identifying, quantifying and managing credit and interest rate risk exposure and optimizing balance sheet management. Fueled by deep industry knowledge and unparalleled access to valuable market and industry data, MountainView delivers a more holistic view of risk and opportunity that enables clients to make informed and confident decisions. Specific services the company offers include financial model validations; asset valuations for residential whole loans, consumer loans, residential mortgage servicing rights (MSR) and asset-backed securities; MSR hedge advisory; core deposit analyses; stress testing; and asset sale transaction advisory. Built upon nearly three decades of risk management experience, MountainView currently serves more than 600 active clients in banking, insurance, lending, servicing and secondary market and securitization. 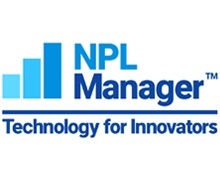 NPL Manager™ delivers competitive advantage to NPL owners with Business Intelligence tools to maximizing investment valuation faster. Access to a national network of Legal, Financial and Property services. All Services comply to national and local regulations that minimizing liability exposure for non-compliance. Simple integration to all their data everyplace it is sited. All of this delivered through a secure and scalable web hosted application. 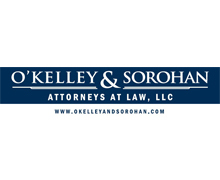 O'Kelley & Sorohan, Attorneys at Law, LLC is a full-service law firm with offices located throughout Georgia and Florida. The Firm’s Default Services Group specializes in assisting financial institutions, servicers, property managers and individual investors throughout every stage of the residential and commercial default processes, including foreclosure, evictions, bankruptcy, and general civil litigation. The Firm’s commitment to a boutique experience, combined with its attorneys’ extensive industry recognition and knowledge, ensures that a client’s specific needs are met in a prompt and cost effective manner. The Firm is a long time member of the Mortgage Bankers Association and American Legal Financial Network, with attorneys frequently appearing as speakers and panelists at national conferences. 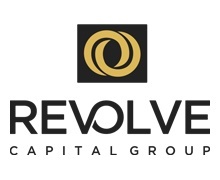 Revolve Capital Group (“Revolve”) is a privately held real estate investment firm located in Anaheim, CA. We specialize in the purchase and management of non-performing and re-performing mortgage notes across the United States. Since 2010, Revolves management team remains at the forefront of the U.S. residential market downfall in the lower-valued affordable housing sector. Between 2010 through 2018, the management team at Revolve built a track record of purchasing and owning defaulted mortgages acquired from GSE’s, Tier 1 banks, Investment Banks, Large Servicers, and a few of the largest privately held mortgage funds in the U.S. Here at Revolve, our team has successfully managed, purchased, and sold over 8,000 single family homes and over one billion in mortgage debt. Revolve, is committed in building strong relationships with Tier 1 banks, Investment Banks, GSE’s, Institutional Sellers and large servicers to programmatically acquire and manage lower-valued/less affordable housing assets. We wish to remain in the driver’s seat as a market maker in effectively managing this asset class to assist the defaulted borrower in getting back on track or finding alternative solutions for the borrower. A unique part of Revolves platform allows the savvy investor to get into the business of buying, owning, and managing their own real estate portfolio from the comfort of their home or office. Members of our team will show you the step by step approach in structuring, buying, owning and managing mortgage notes on a national level to accomplish your overall strategy (Cash-Flow or Rapid Growth). Over the last decade, our team has developed one of the largest note followings to purchase short or long-term residential note opportunities. Whether an investor is seeking a long-term strategy (Cash Flow) or short-term strategy (Rapid Growth), our team has assisted over 5,000 individual investors to grow their portfolio from owning one note to owning thousands in their portfolio. Your estate plan has a big impact on the people you love. The failure to plan for your death or disability can, and often does, have adverse results, causing confusion and unnecessary expense for your family and loved ones. What will happen with your property when you die? Who will provide for and protect your children if you die? What will happen to you, and your property, if you become disabled? Our attorneys are experienced in addressing the specific needs of you and your family, and protecting your property or your business. We will walk you through the process and educate you about available options. We help you determine your goals and how to reach them and create a plan customized for you. We offer our clients a full range of estate planning services including: preparing basic or complex wills and trusts, powers of attorney, living wills, tax planning, business succession planning, asset protection planning and charitable planning. We will help you evaluate retirement plans and life insurance and work with your financial advisors to coordinate any such financial products with your estate plan. Our goal is to give you the confidence and knowledge that your personal matters and financial affairs will be handled appropriately and effectively upon your death or disability. Tromberg Law Group offers a full range of litigation and default servicing solutions for mortgage lenders, servicers, banks, and savings and loan associations. We proactively protect our clients'​ rights in foreclosure, bankruptcy, eviction, and real estate litigation. The firm is experienced in the areas of foreclosure, creditor litigation, the Fair Debt Collection Practices Act, title curative issues, and general housing-related issues such as foreclosure liens, redemption, homeowner association matters, mobile home curative, and compliance issues. Andrea Tromberg, the firm’s owner, purchased the firm which she had served as managing partner since 2011. 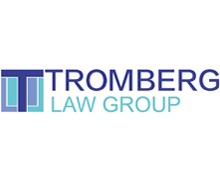 This ownership change and subsequent renaming of the firm to Tromberg Law Group made Tromberg Law Group one of the largest woman-owned creditor firms in Florida and Virginia that also serves Puerto Rico . Andrea Tromberg serves as the first elected Chairwoman on the Board of Directors for the American Legal and Financial Network (ALFN) and has served on numerous committees and is a current member of the leadership committee for Women in Legal Leadership (WILL).